When there are large trees around housing, fences or cars it is a good idea to keep them maintained by a professional who is better equipped to handle the trees and who has the knowledge with different signs a tree might show to indicate that the tree isn’t in its healthiest state. 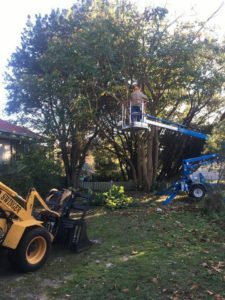 Trees can cause thousands of dollars in damages when they come down on roofs, cars or neighbouring properties and if you are not covered by a reputable insurance company. You will also be thanking your lucky stars that no one was in its path when it comes to crashing to a halt. Deep cracks or missing bark may be caused by a disease known as canker, this can cause a tree to break in that spot. If your tree looks healthy but is developing deep cracks this should not be ignored as with any deep cracks are not the sign of a healthy tree. If you notice a tree leaning more than 15 degrees from strong winds or root damage the whole tree needs to be removed for safety. When branches are growing tightly together this is a bad sign. Elm, Maple, Yellow Poplar and Willow trees will break at the forks of stems where weak formations are. Noticing a “V” shaped structure is not healthy and should be more like a “U” for a strong union. This can be a sign that there are root system problems. As the roots are where the tree gets its nutrients and water from. As the tree is trying to make itself smaller so that has less to feed, big branches could be noticed falling from the tree, more than usual. Any dead branches should be removed as soon as possible to ensure safety. Need help with your trees? 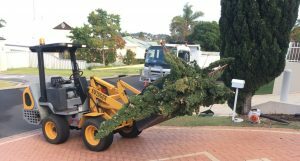 For trees of all shapes and sizes Armac Stump Grinding, Tree Removal and Yard Cleanups service can help. 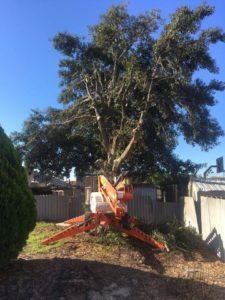 Armac has expertise with the right equipment and knowledge to help you trim or remove your trees and stumps. 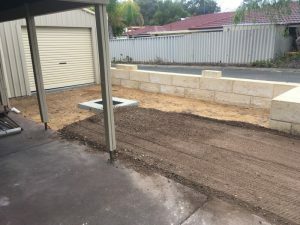 Contact Ray on 0448 442 477 for a free quote today. As winter sets in around the South West, so do the storms. 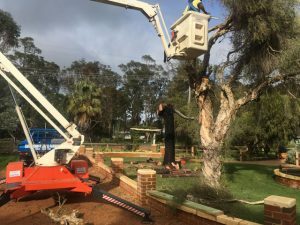 To ensure your property is safe from extensive damage and your family is safe from harm, it may be time to get the professionals in to assess your property’s trees and surrounding flora. Trees, branches, shrubs and debris lying around can be picked up by strong wind gusts and cause irreparable damage to your home and injury to the people around them. Armac are your local, fully insured and accredited experts in tree removal, stump grinding and yard clean-ups. 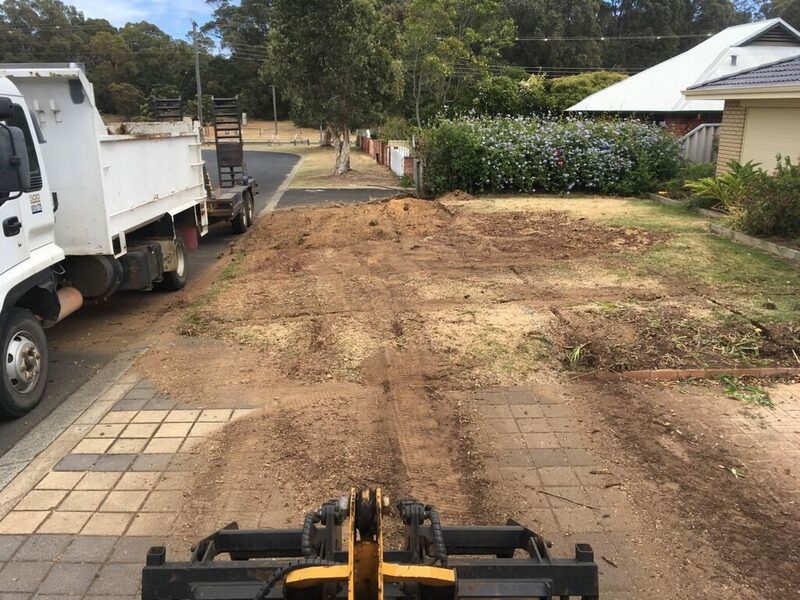 Whether it is clearing your yard from old trees to make new space or removing trees completely to minimise risk to your home anywhere in the South West, Ray and his team have the expertise and experience to get the job done affordably, efficiently and on time. Branches that scrape and whip against your roof, windows and walls during a storm will not only scare everyone inside, they also pose a serious safety threat. Heavier branches are prone to snapping and falling onto house roof, causing extensive damage and possibly causing you to have to evacuate your home. 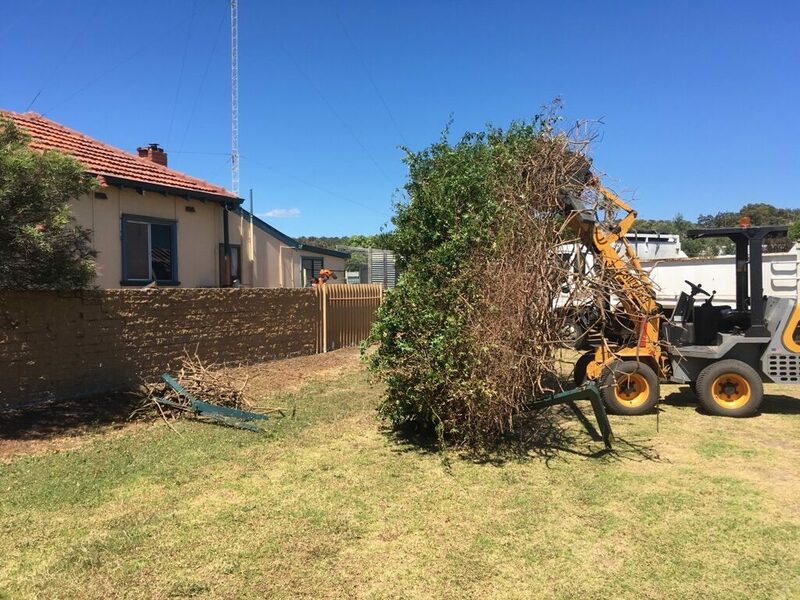 Bits of yard rubbish, twigs, dead branches and other potential flying hazards are all simply lying in wait for the big wind gust that will pick them up and throw them through your windows. 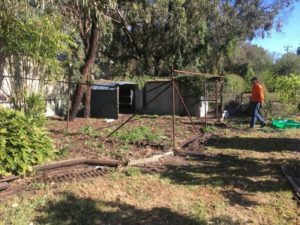 Carrying out an intensive yard cleanup not only clears spaces for new garden adventures, renovations or building and garden projects, they are also beneficial in moving possible flying objects out of the danger zone. When it comes to damage to homes, cars, fences and utility services, one of the biggest culprits are large trees. 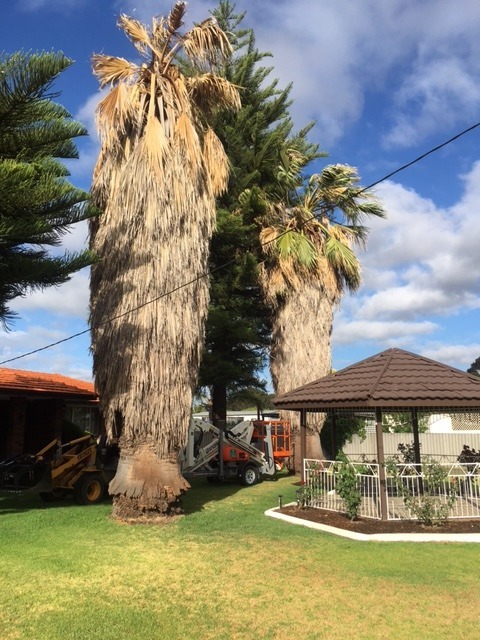 Getting them pruned every year may not be enough when the tree becomes a hazard and has grown too close to power lines or the roots start lifting up house foundation and paving. The bigger the tree, the more the wind will shake it and if the trunk snaps and it lands on your house roof or car, that’s an extremely costly accident! 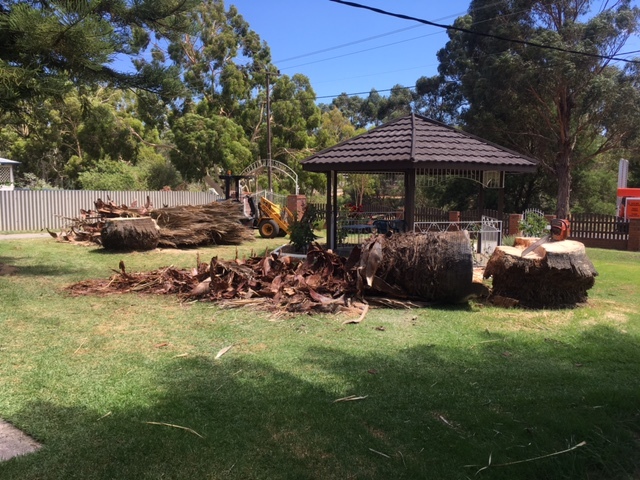 Give yourself peace of mind that the large trees on your property aren’t a safety hazard and get them assessed by Armac Stump Grinding. 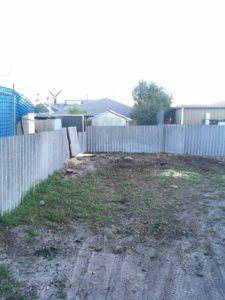 Who Can Help Me With Pre-Storm Cleanups and Preparation? Armac strive to provide efficient and cost-effective service, with reliable and honest local small business service. 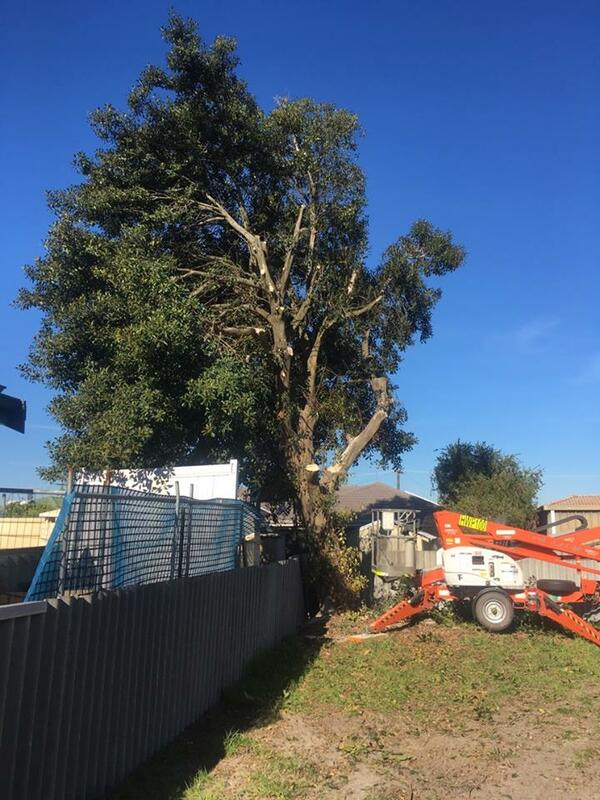 We will never tell you to remove a tree unnecessarily and always leave our work sites immaculate and safe. Call Ray today for a free quote on 0448 442 477.